Some of you might remember I had a dream trip to Paris last fall with my parents. Part of my book-loving self could not wait to check out Shakespeare and Company book store, right along the Siene river, across from Notre Dame Cathedral. Shakespeare and Company is a famous book store that hosted the likes of Ernest Hemingway, among other well know writers who lived in Paris. It’s just a neat experience to walk into places like that, which have birthed inspiration for so many. I thought I would share a few shots from my Shakespeare visit along with this book post! 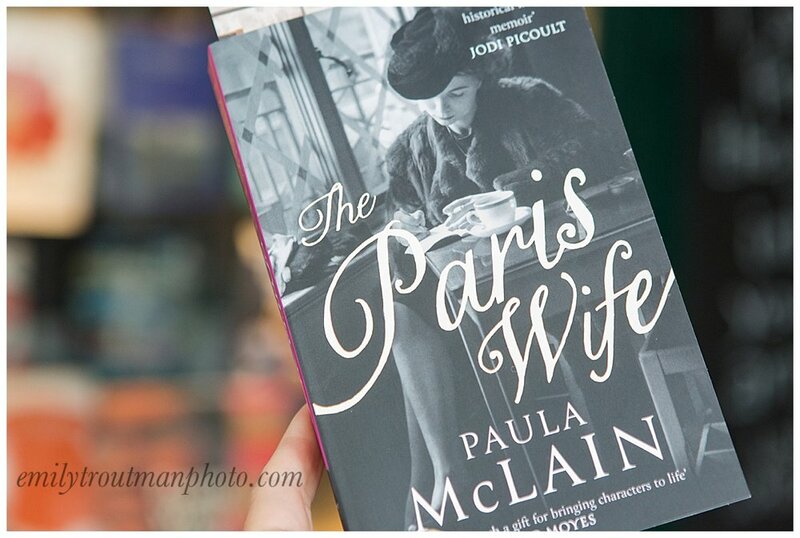 I bought and read The Paris Wife in Paris. It’s about Ernest Hemingway’s first wife Hadley (more thoughts on this book below)! “I wish I could show you when you are lonely or in the darkness, the astonishing light of your own making.” My mom’s feet are at the top, making it even better for me. She’s a librarian now and leaves a legacy of a love of reading! 2. Crazy Rich Asians by Kevin Kwan was a delightful fiction read and also had some Parisian scenes that I appreciated. I took this photo of the book though literally minutes before I got into an accident at my kids school and NO it wasn’t my fault and NO I wasn’t reading at the time…I digress, back to the book review….I loved this read because it shed some light onto Asian culture that is not as main stream as one might think. My husband works at a prestigious boarding school and it gave me a giggle because in some ways it really shed light on what some of the Asian students deal with in their families and with their parents. Some things are based on stereotypes but also most stereotypes are based in some type of truth. I definitely recommend reading this book for the great writing and then rent the movie, which is just as enjoyable! 4. Where the Crawdads Sing by Delia Owens - I also really enjoyed this fictionalized story of the North Carolina marshlands. It weaves together a modern crime being solved while flashing back to the beginning of the story. It was thankfully so well written that the time hoping did not confuse me (sometimes I can’t track with books that jump around in time). It’s the story of Kya, growing up in the marsh land and often alone. It was tender and hard to read at times, but it also just made you cheer for the main character to persevere. It has a fantastic ending in my option and it’s just a great read that takes you to another time and place! I found it recommended on Reese’s Hello Sunshine book club. We just had what might have been the craziest, busiest week of our year, which is saying something! My brother-in-law got married on Friday in a beautiful outdoor ceremony, in which the whole family was involved. I also photographed another wedding over the weekend and had daylight savings time change. Needless to say, I'm going to be sipping coffee and reading off a to- do list today to keep my head on straight! I have had a few requests for a recent reads post so here's a few! I really enjoyed this honest read that shares the authors struggle with anxiety and changes of life seasons. It's small and I read through it fairly quickly. It left me encouraged and gave me lots to think about though. If you don't think you'll have time to pick up the book, definitely still go and read her article Why Women are Fading and you will get insight into some of the book. Not even kidding when I say the first page of this book is so beautifully written and convicting that I had to stop and read it a few times. Heather and her husband have gone through adoption for all 3 of their children, two children also with special needs, specifically Down Syndrome. 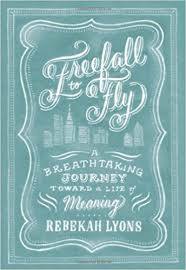 I read through this book very quickly and found myself being both challenged and encouraged by her story. Definitely worth the read! I picked up this classic again after watching Anne with an E on Netflix earlier this year. Anne is such a great heroine for a young girl and as it turns out, 35 year old women as well! I loved reading through this again because it has been such a long time. 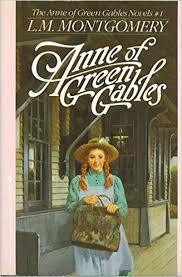 It makes you laugh and cry all along while routing for Anne Shirley in her various circumstances. Sometimes revisiting a classic is the best reading, it's familiar and brings warmth to your soul. There's way too many quotes to choose from but this one always stays with me, "Isn't it nice to think that tomorrow is a new day with no mistakes in it yet?" If you want to get in on the Hamilton craze but aren't feeling reading a lengthy biography, this was the perfect solution. It's a historical fiction version of Alexander Hamilton's life that fills in just enough details while keeping the story going. We all know how Hamilton met his demise, but I always somehow want a different ending! I really did enjoy this read though. I have no idea how much is true or isn't true but it tells the tale of Hamilton meeting and falling for his wife, as well as other dalliances along the way. I liked the blend of the romantic story with historical elements. I laughed a lot through this one which goes along with the subtitle "wrangling delight out of this wild and glorious life." It's written in an essay form so it's very easy to pick up and put down if you're not wanting to get bogged down in something serious. Jen Hatmaker has been involved in some different agendas and theological controversies over the last few years, so I went into the book with the knowledge that we disagree on some things. I actually think there's tons of value in reading opinions differing from your own. That being said, she kept it fairly light and I really enjoyed it. If you're in the thick of raising a family, it will help make light of life. We have even made some of the recipes from here, because you know she's all about food as well. If you find you like this book, check out the For the Love Podcast with Jen with various guests and topics.